About 30 minutes after client Randy Broo dropped off his rescued Lhasa Apso, Gladys, at the groomer, he received a call saying she had suffered a freak accident and was paralyzed. It took about $5,700 in vet and therapy bills to get Gladys walking … OK, mostly scooting … again. Even though Gladys is on the road to recovery, her accident is not why Randy has joined a group that recently launched PAWS/D.A.P. For Randy, the call-to-action was much broader. 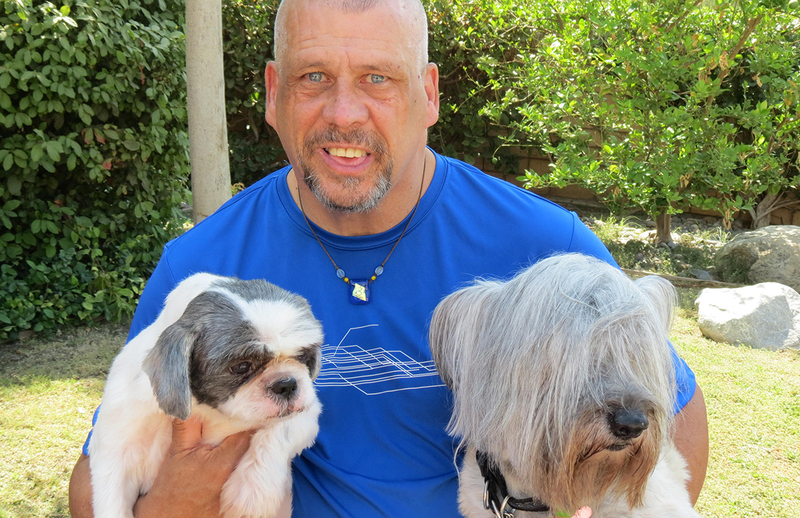 Another client, Michael Patton, takes the pet health issue to an even more basic level, saying many clients struggle just to keep their pets fed and cared for. 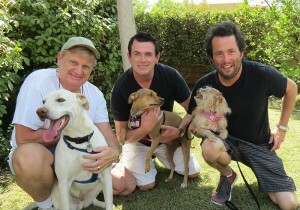 That’s why Randy and Michael got together with another pet lover, Larry “Pinkie” Edwards, to form PAWS/D.A.P. “I know people who have trouble feeding themselves,” says Michael, a resident of the Vista Sunrise apartment complex on D.A.P.’s campus. “So, when even the necessities of life are at risk, things can very easily fall apart if your pet gets sick.” Vista Sunrise and D.A.P. encourage residents to have small pets because they know the comfort that they offer – a fact that was recognized by Michael Leppen, a D.A.P. donor who funded the installation of the Rick Landry Dog Park at Vista Sunrise, to memorialize a friend, soon after the apartment complex was constructed. The group will offer free food, dental, and basic medical care to clients so they can care for their furry or feathered friends. Whatever skin they’re in, PAWS/D.A.P. wants to be there for clients and their pets. Ultimately, clients will be able to get pet food when they pick up food, gift cards, and transportation vouchers for themselves at D.A.P.’s Food Depot on Distribution Day the third Wednesday of every month. PAWS/D.A.P.’s first fundraiser is sponsored by Studio M Salon and Spa. On Aug. 30, Studio M at 2465 E. Palm Canyon Dr. will donate 100% of services and 10% of product sales to PAWS/D.A.P. Donations also can be made online. • Aug. 4 – Anniversary Party Open House with a raffle to benefit D.A.P. • Aug. 30 – “Yappy Hour” with 100% of a raffle and part of sales and services to benefit PAWS/D.A.P.